The symbol of Furcadia is what we call the Vinca. 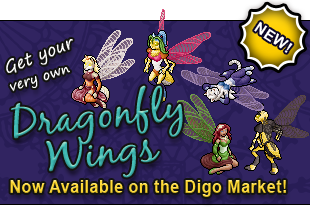 In the original Furcadia creation mythos, The Dragon flew in the form of a five-fold vinca blossom. 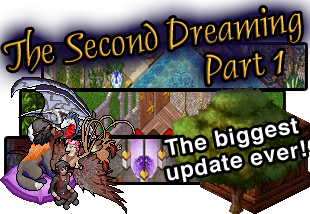 At the heart of the trail is a palace called the Vinca, which is what the nexus main map on Furcadia is designed after. The Vinca is also a real world flower: Periwinkles make up the genus Vinca, of the family Apocynaceae. The lesser periwinkle is classified as Vinca minor and the greater periwinkle as Vinca major. To symbolize being a core part of Furcadia, all Associate staff badges have a Vinca flower on them. Also, their badges are not Beekin badges because they are not part of the Beekin Volunteer program. Often we consider the Vinca to be a portal to the Dreaming, which is why we tend to use it where portals are, such as at F3 points or entrances. We use our Vinca symbol like Disney uses the Mickey Mouse ears. Be sure to look around the website and main maps for signs of the Vinca!